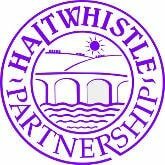 The Haltwhistle Great War Project aims to record and preserve First World War memories, documents and photographs from the former Haltwhistle Rural District. Led by Northern Cultural Projects and funded by the Heritage Lattery Fund, a book has been produced along with a short film created by the Haltwhistle Film Project. In the First World War German bombardments and Zeppelin air raids terrified people in big cities and on the coast. Although there were no mass evacuations organised by the government, thousands of children were sent from danger zones to safer rural areas. These evacuations were organised by individual families, schools or charities like the ‘Children's Country Holiday Fund’. Featherstone Castle in Northumberland became refuge for children from a prep school located at Foxton Hall in Alnmouth. The school stayed in the castle until the end of the war. This short film is a fictional story based on true events, inspired by Edith Nesbit’s novel ‘The Enchanted Castle’. Part of the 'Haltwhistle Great War Project' Made by the Haltwhistle Film Project with Haltwhistle Youth Club and Time Bandits. You can view the film via this link.